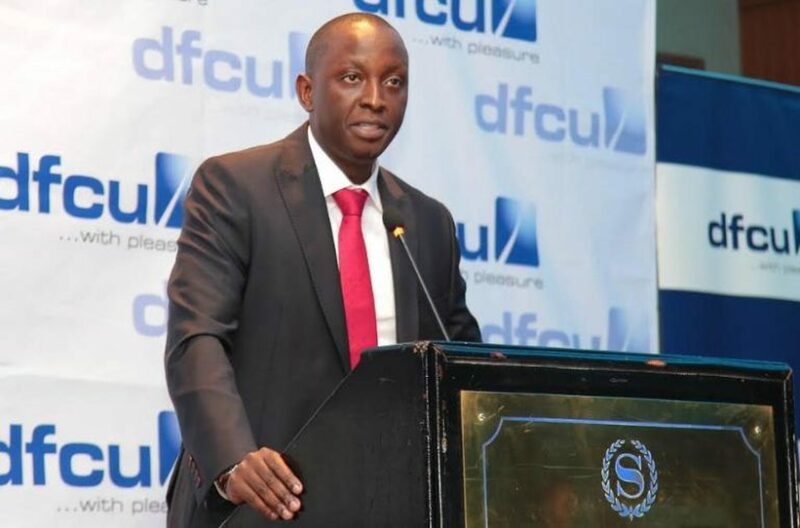 KAMPALA – William Ssekabembe, the number two in the hierarchy of the dfcu Bank has declined a lucrative offer to take over the position of Managing Director at KCB bank, citing personal reasons. In a September 5 letter to the head of human resources at KCB bank, Mr Ssekabembe, who is the Chief of Business & Executive Director at dfcu Bank, a job he took over in October 2016 said he had changed his mind and will stay put at the troubled dfcu Bank, which is in the storm of the eye following the controversial takeover of Crane Bank in January 2017. 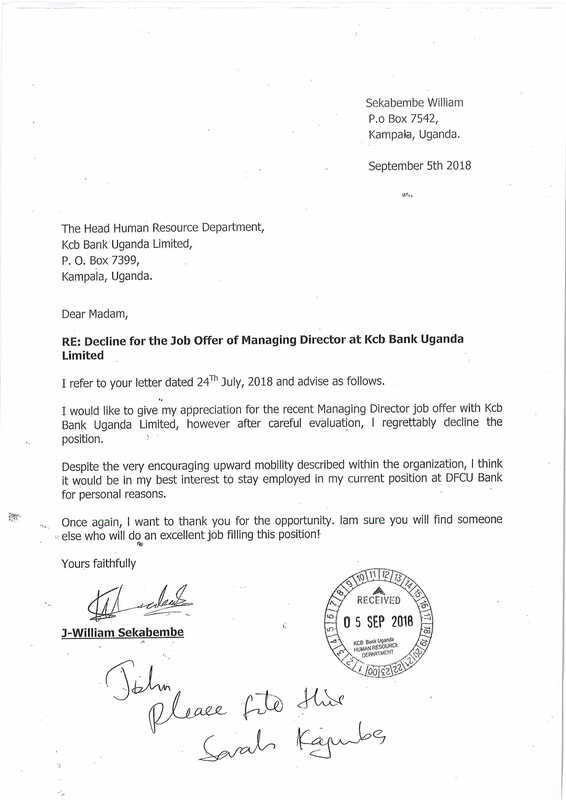 “Despite the very encouraging upward mobility described within the organisation, I think it would be in my best interest to remain employed in my current position at dfcu Bank for private reasons,” Mr. Ssekabembe said in his decline letter. Mr. Sekabembe was not available by press time but the development lends credence to reports that Mr Ssekabembe will has been positioned to replace dfcu Managing Director Mr Juma Kisaame, who has since come under fire following the botched up takeover of the Crane Bank, that has been faulted by the Auditor General. A holder of an MA. Economic Policy and Planning (2002-2004) from Makerere University, Mr Ssekabembe, started his banking career at Standard Chartered Bank in 1999 as a Personal Banker and in July 2001 he crossed over to Barclays Bank as a Prestige Banker. For 9 years at Barclays, he rose through the ranks, becoming Head SME Banking in October 2008 and then was promoted to Head of Branch Distribution in December 2009. 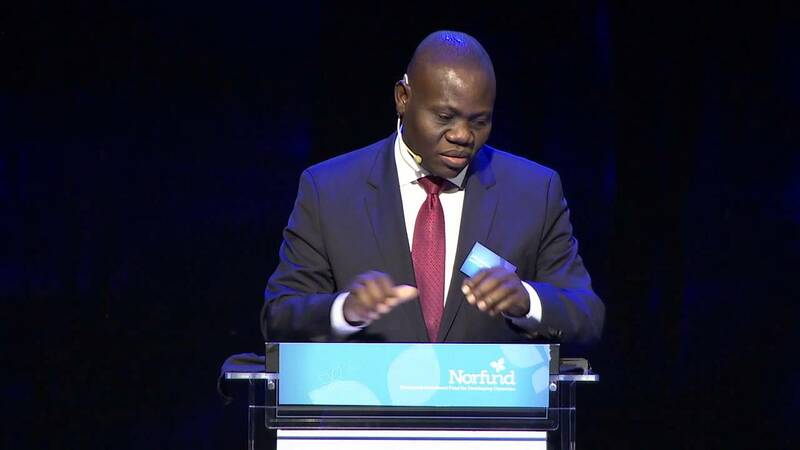 In May 2010, he moved to Stanbic Bank as Head of Products and after one year and seven months, moved to dfcu Bank as Head Consumer Banking in May 2012. He then became the Head – Corporate Banking before being promoted to Chief of Business & Executive Director in October 2016.